Apple has been promising to launch the White iPhone 4 for a while now but somehow it isn’t making it into the hands of eager customers. The official news coming out of Apple is once again disappointing as the company has announced that the device is delayed for the third time and now you’ll have to wait till spring 2011 if you want a White iPhone. Apple broke the news to Reuters through a representative but it did not clarify a major point that everyone is discussing and asking in the tech world. We know that Apple launches the new iPhone every year in spring and it’s not clear whether the White iPhone 4 will launch before the next iPhone or with it at the same event. 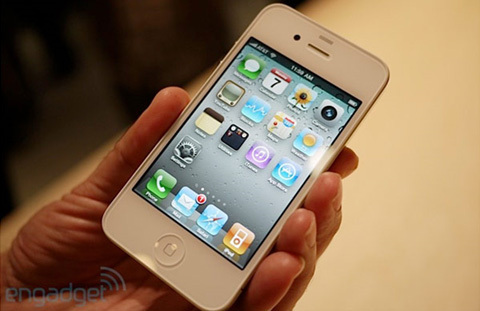 Also, will the new iPhone launch with a White version or is it only the iPhone 4 which is getting a White version? iPhone’s next version is obviously going to be the most awaited spring release from Apple and if it indeed comes with both Black and White models, it’ll be a mistake to launch the previous version with a White model. iPhone 4 may be massively popular but when the next version makes it debut which will obviously be upgraded and won’t be having the famous faulty antenna, customers are sure to buy the latest model rather than the previous one. Another major launch that’s in the works and being eagerly awaited is the CDMA iPhone which is also rumoured to arrive sometime next year. It once again remains to be clarified from Apple that whether it’ll be iPhone 4 that will get the CDMA technology or the next version; and which one will be available in White. If you’ve been waiting for the White model to get yourself an iPhone, you might as well wait for the next version which may luckily bring a White model without the little faults that iPhone 4 famously carries. But let’s wait for Apple’s official answers to the above questions first.